Ian Hunter - Diary Of A Rock 'N' Roll Star | Vault Of Evil: Brit Horror Pulp Plus! WORSHIPPED, HATED, ENVIED, EXPLOITED – WHO ARE THEY, THESE ROCK STARS? 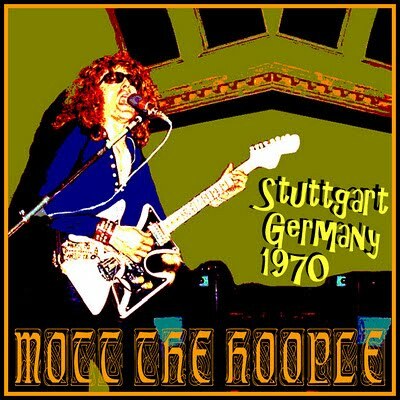 Ian Hunter, lead singer of the rock phenomenon that is MOTT THE HOOPLE, strips away the glittering facade of the pop scene and lays the life-style of today's rock star on the line. In these eye-opening pages you'll meet the groupies, the muscle-men, the hangers-on and the fans. You'll find out how the music business really works: how an album is made and a tour comes together. You'll also meet the behind-the-scenes businessmen, the managers and the promoters, as well as the stars who are Ian's personal friends – glam-rock superstar David Bowie, demon drummer Keith Moon, the inscrutable Frank Zappa and many more. 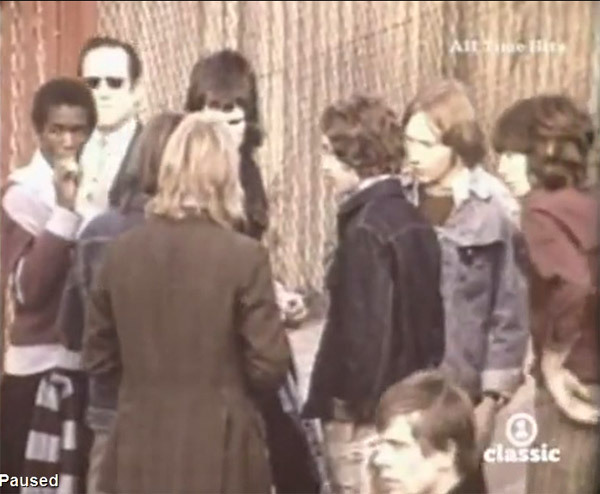 "England, football and chips" enthuses Ian Hunter as the band touch down at Heathrow on Christmas Eve, 1972. "It feels like it was years since I've been here". In all, it's been a month, but the mind-numbing monotony of touring the length and breadth of America is an early taster of what's in store now they've a hit record under their belts. 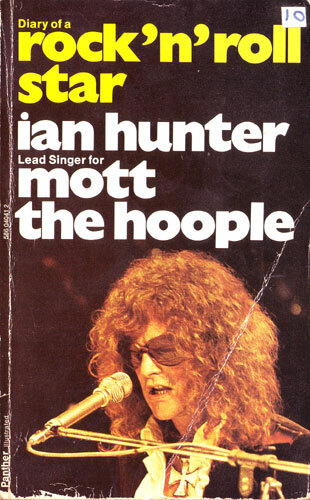 Four albums into their career - Ian Hunter was in his early thirties at the time - Mott the Hoople were finally enjoying chart success off the back of their Bowie-penned glam punk anthem All The Young Dudes and CBS were keen to capitalise. As befits a man whose repertoire veers from confessional (Sea Diver), self-mythologising anthems (Ballad Of Mott, Saturday Gigs), through good-time glitter pop (Roll Away The Stone, a way too pretty stab at the Velvet's Sweet Jane), to raucous boot-boy stompers (One Of The Boys, Violence, Crash Street Kids, etc. ), Mott's main man is an emotional mess of contradictions: introspective, brash, witty, essentially liberal, but volatile and prone to Richard Allen-style outburst when crossed. Which, on this tour, is often. Aside from bust-ups with an assortment of evil or useless promoters, crazed hangers on and fat rich American bigots, you get the Hunter-eye view of the nights when, against expectation, it all goes well. His enthusiasm at such moments is a huge and wonderful thing, likewise when the band get a result from their obsessive visits to Pawn Shops (the bands quest for secondhand guitars is on a Vault versus paperbacks level). We also get to join a drunken Ian and Phally as they give Gracelands' security the slip and trespass as far as the Elvis bedroom door before a maid ushers them away (he was at home, too!). Belying their reputations, Keith Moon and Frank Zappa come across as sane, friendly and generous fellows, there's a blink-and-you'll-miss-it cameo from Iggy and James Williamson, and certain of our readers may also be interested in the Mott-eye view of a Jethro Tull-Roxy Music gig at Madison Square Gardens. "Our managerial fortunes tend to vary weekly - according to Hereford United Football Club's results. Many a cross-country dash has been made by Stan (Tipping) and Richard Weaver to give Hereford their support before racing to a provincial Mott gig. Stan knows directors, players, coaches, etc, and i believe his ambition is to have a bungalow situated behind the north end goal mouth and to be a groundsman for his heroes." Hereford, some of you will remember, pulled off one of the great FA Cup giant-killings when, as a Southern League outfit, they beat Newcastle 2-1 at Edgar Road in January 1972. Their reward was a fourth round home game v. West Ham on February 9th. If i'm not very much mistaken, Mott incorporate footage of both sets of fans into the All The Young Dudes video (the massed ranks of scarve-waving Hammers fans at the end is the give away). This is a wonderful book - better than some of Mott's records, actually (I always preferred Hunter on his own - bloody Mick Ralphs...). It's not all fun and games being a rock star, evidently, though I bet Mott's guitar antics being published made it hard for the next touring UK band to go guitar shopping! It's the book that made Joe Elliot want to form Def Leppard, too, but don't hold that against it! This and Jenny Fabian's Groupie are a great window on that era, when some of us would have preferred to be around musically (though not to see Greenslade, eh Dem?). This and Jenny Fabian's Groupie are a great window on that era, when some of us would have preferred to be around musically (though not to see Greenslade, eh Dem?). "And here's Tony's with a two hour virtuoso bass solo. Take it away, big man ..."
All these years on, i still wake up screaming. Give me the Glitter Band every time. Fact! (I think!) Buffin and Overend Watts were the studio engineers for the John Peel sessions. they certainly did the Birthday Party ones, as the band never shut up about how much they hated them (and everything else) ..... which brings us seamlessly onto Martian Dance who recorded the seven-pronged assault that is Stand Alone, Transformed, Two Sides, One Story and The Situation, Roses For Reno, Party Games and Claudines for the show! Will run you off a disc next time I see you. Correct, friend Strange. The Mottumentary was as must-watch as they come in domain of the dems. Particularly enjoyed the grainy live footage (never knew the Bowie-on-backing-vocals clip existed). According to Ian Hunter, Bowie first offered the band Suffragette City, which he turned down as unlikely to make the then sacred Radio One playlist. So Bowie came back with All The Young Dudes. Worked out well for everybody, i'd have said. So Bowie came back with All The Young Dudes. Worked out well for everybody, i'd have said. Certainly did. They turned in a storming version of "All The Young Dudes" when I saw them in Manchester in 1974, when they were probably at their peak, a swaggering Hunter demanding to know "are there any slags in the audience tonight?" Interesting stuff. Didn't know about Suffragette City but I can see the logic. I think the sequence was Suffragette City, then all the Young Dudes then the reject of Drive in Saturday? If I'd gone to see Mott I wouldn't have wanted Queen getting in the way of the entertainment. This thing about Mott being an amazing and dangerous live band was always odd to someone just too young to see them live, the sudio albums being very tame at times (step forward Mick Ralphs and that 'difficult' west coast influenced album) compared to what you'd hear reported coming to them late (I was 8 when 'Dudes' was a hit). However, there have been a few archive live releases that have had ropey sound, but have been invaluable in explaining in part how the legen arose - I was clued in to this by a live version of 'Thunderbuck Ram' on a Mojo 'roots of punk' cd a few years back that is stunning! Indeed, Buffin and Overend helmed many a Peel session through the eighties. I knew Hagar The Womb, who were a girlie-fronted punk band, and they did a Peel session with Griffin'n'Watts that sums up the difference between men and women in rock (well, it did 30 years ago!)... One of the singers (there were two, occassionally three at this point) did nothing but moan about how miserable the two 'old blokes' producing were, with no idea of who they were, while the drummer and guitarist did nothing but say how great it was to be in a studio with the chaps and pour out anecdotes they'd picked up about Mott talking to the 'old blokes'. Alternatively, a rewind to 1972 with option of rewind/ fast-forward when he hit 1979 would do me. Dreadful news. Bowie, Alan Rickman, Buffin - even Ed 'Stewpot' Stewart (saw him play in goal for the Radio One XI on a number of occasions). We live in miserable times.